The work was purchased in 1956 through CPR from Jovanka Dejković as a painting by Đorđe Krstić. 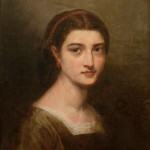 This is a portrait of a dark–haired girl with red pearls represented in half–length and semi–profile. The identity of the girl is not known, although the presentation and her dress suggests that the girl comes from higher social circles. The stylistic characteristics of the portrait indicate strong influence of the Munich school of realism from the second half of the nineteenth century. In the last decades of the nineteenth century, owing to the painters educated at the Art Academy in Munich, there was a noticeable development of realism in the Serbian cultural regions and the influence of this movement persisted during the beginnings of Serbian modernist art. In Serbian painting, realism was never present as much as it was in European painting of that time, primarily in a symbiosis of subject matter and techniques. After their return home, Serbian painters educated in Munich were faced with the problem of adjusting to the conditions of a socially and culturally underdeveloped environment. 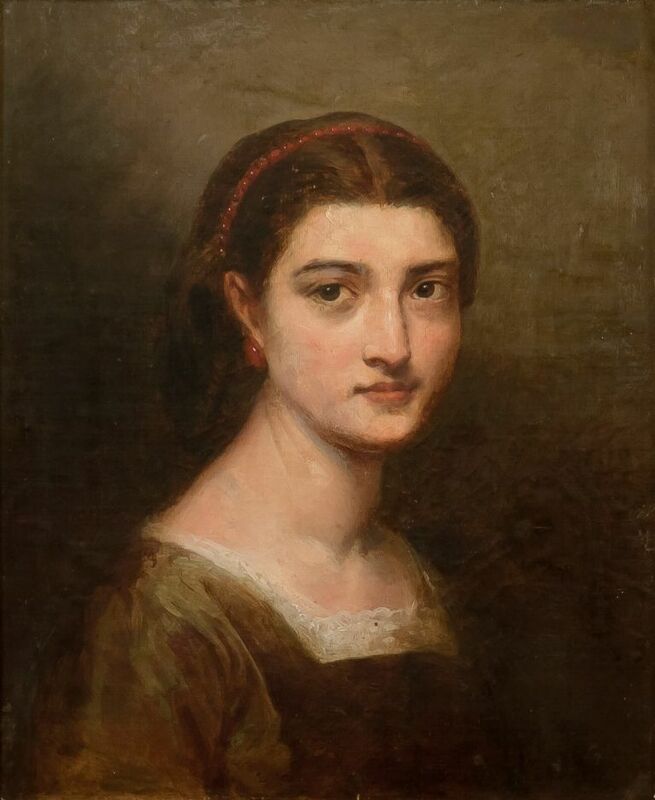 Due to inadequate maturity and readiness to accept the new social themes European realism was propagating, these painters focused on portraits, religious and historic compositions and landscapes. One can easily perceive tonal solutions and a subdued scale of colors as the general (common) characteristics of their works, and therefore dark green, dark red and silvery–grey colors and contrasts emerge from the works by Miloš Tenković, Đorđe Krstić and Đorđe Milovanović. Sill, studies and stylistic analyses of the work indicate that the painting cannot be assigned to any of our followers of the Munich School although it was purchased for the Collections as a work by one of them. Future professional analyses and examinations will certainly reveal the identity of the artist.